An FE college is an institution that provides education for those over compulsory school age (which ends on the last Friday in the June of the academic year in which they turn 16). There are many types of FE colleges including, sixth form colleges, specialist colleges and adult education institutes. A parent or young person can name an FE College in an EHC Plan/Statement. If an FE college is named in a EHC Plan then it must admit the person for whom the plan is made. The SEN Code of Practice applies to FE colleges. This means that colleges must use their 'best endeavors' to ensure that pupils with SEN or disability are not disadvantaged in their access to education. 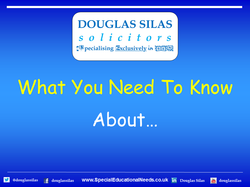 This can include providing Special Educational Provision where necessary.